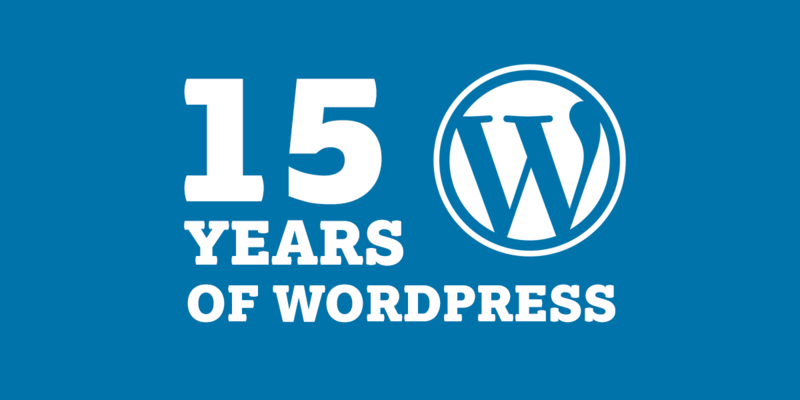 On May 27, 2003 — exactly fifteen years ago today, the first version of WordPress was made available for download. Unlike most software releases that start at v1.0, this was Version 0.7 of WordPress that was being released as the first non-beta. What began as a fork of b2/cafelog over 15 years ago has today turned into a robust, reliable and popular Content Management System that powers close to 30% of the world’s top 10 million websites. WordPress holds a very special place in my life and I’ve been building websites powered by WordPress since 2006. Although I’m not a fan of the clunky mess that WordPress is turning into, I still love building with WordPress and couldn’t be more excited about the years to come.